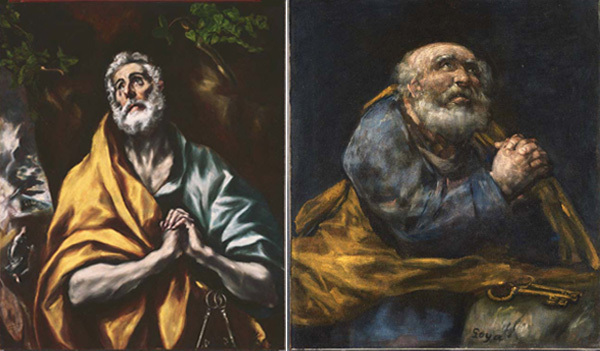 This entry was posted in Experiment Station and tagged El Greco, Goya, Saint Peter. Bookmark the permalink. I visted the Philips often in the late ’60s when we lived around the corner. I felt then and still do that Goya’s portrayal is of a very down-to-earth and earthy fellow, looking a lot like the old men I knew when I was young. Right down to the bald pate.